Have you ever watched Sunset Boulevard starring William Holden, Erich von Stroheim, and the unconquerable Gloria Swanson? If not, I won’t mind if you open Netflix or find some other method to stop everything you’re doing just to watch it right now. I can wait. As you (now) know, this film is a masterpiece of cinema which laid bare the cruelty of these things: aging, celebrity, Hollywood, youth, pride, vanity, EVERY ASPECT OF LIFE, and probably some other stuff. I’m not writing a thoughtful essay here! It did nothing to fix any of it, as far as I know, but it is interesting to see how the old silent stars were thought of and treated in the 1950s. I imagine that the cycle continues and the young talent of today considers the actors and actresses of the 80s and 90s to be weird old fossils from another time. 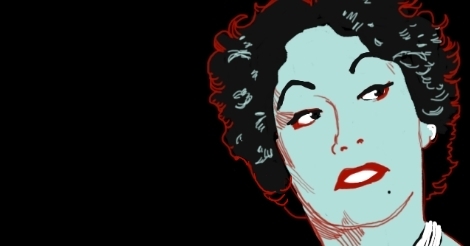 I assume that the fate of Norma Desmond is what every actress fears for her future — or maybe kind of wants it, who am I to say? None of us will ever be as rich as she was, or as influential in any industry, that is a certainty. 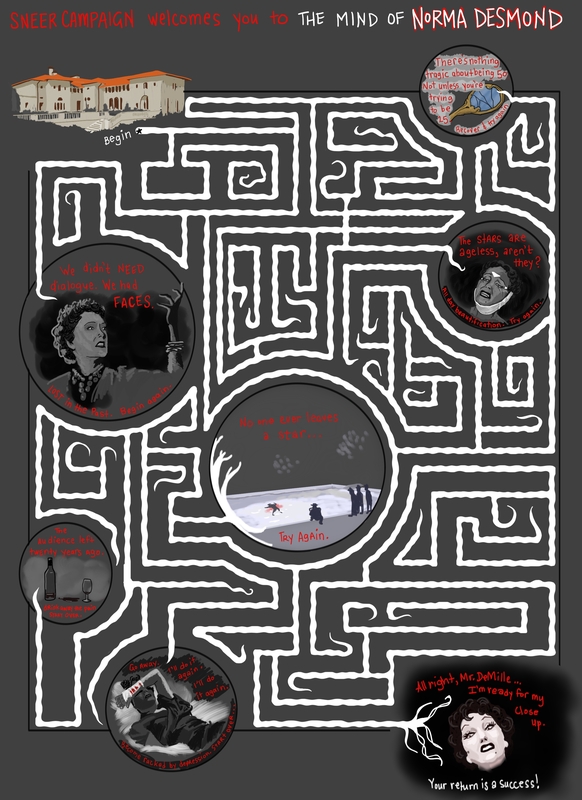 I have made a little maze so that we can pretend to know what it’s like. From the comfort of your ostentatious manor, embark upon the wobbly journey to your great return. You will encounter all kinds of obstacles from nostalgic reveries to suicide attempts to homicide, but if you can keep your focus, you’ll be in the pictures again. You’ll get the attention you deserve, you icon. You legend. Previous Gloves: Why Wear Them? Why Not?